Parents should consider packing items to protect a camper from the sun. ACA suggests that parents pack scarves, bandannas, baseball caps, or a sunhat, as well as needed eyeglasses, sunglasses, and swimming goggles. Clothing is a necessary component of camp, just don’t expect any to return home clean! ACA recommends families include T-shirts, a swim suit and shorts for hot days; a jacket, sweatshirt and jeans for cool or cold days; and a raincoat or poncho for rainy days. Also, long pants will protect a camper from poison ivy, bugs, and thorns during hikes. Check with the camp to see if dress clothes are required. Appropriate footwear is one of the most important items to pack for children at camp, especially when they are hiking, spelunking, running, and heading to the beach. ACA recommends families consider packing boots, tennis shoes, sandals, lots of socks — and dress shoes, if the camp requires them. Remember that shoes should be broken in prior to the start of camp. 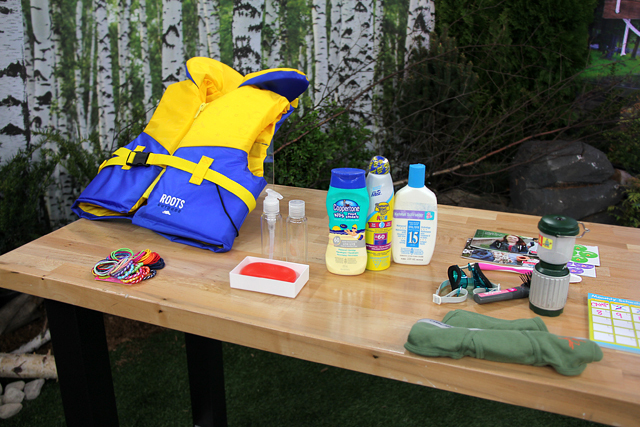 For children attending a resident camp, parents should remember to pack the home basics. ACA recommends a family bring towels, as well as a blanket, pillow, pillow cases, sheets, sleeping bag, laundry bag and mattress pad. Bathroom Kits are essential. Families should pack a brush and comb, shampoo, soap and soap container, toothbrush and holder, toothpaste, deodorant, insect repellent, feminine products, sun block, shaving gear and lip balm with sun block in it. ACA recommends that parents pack some additional items including books and magazines, flashlights and batteries, Frisbees or other toys, a water bottle and writing materials. When considering electronics, musical instruments, and other special gear, check with the camp about policies. ACA recommends that families prepare for camp together. Decisions about camp, including from what to pack, should be made together as a family. When children participate in the decision-making process, their likelihood of enjoying a positive experience is improved. For expert advice on what to pack, or preparing for camp, visit ACA’s parent resource site at www.CampParents.org. Adapted from CAMP Magazine, reprinted by permission of the American Camp Association© 2006 American Camping Association, Inc.